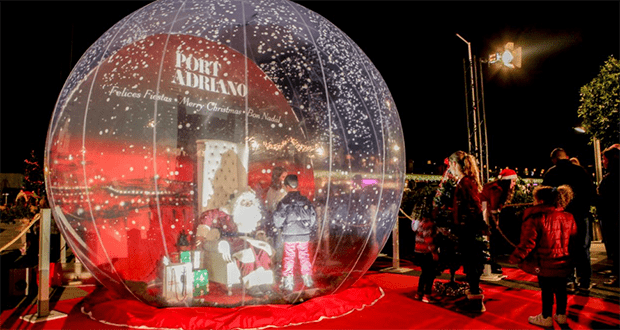 Visit the Christmas markets in Puerto Portals and Plaza Mayor this year where children and adults can enjoy activities such as musical performances, children’s workshops, dance, circus acrobatics and special cooking shows. 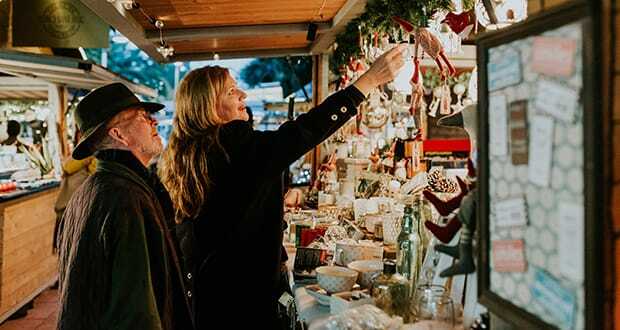 These markets are open to the public until January 6, where in addition to children’s workshops, Three Kings and Santa Claus, attendees can enjoy many other activities. See pictures and more information below. 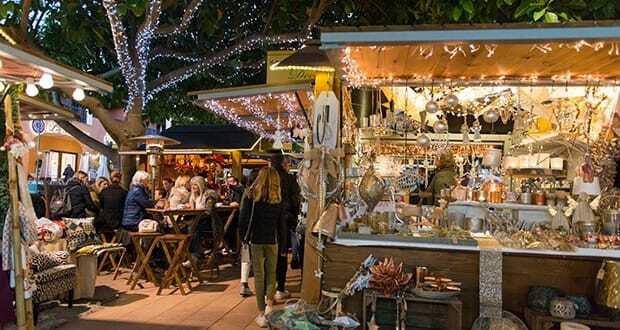 Starting on December 20th, Puerto Portals will be full of festive cheer thanks to its seasonal market, featuring dozens of Christmas stalls. 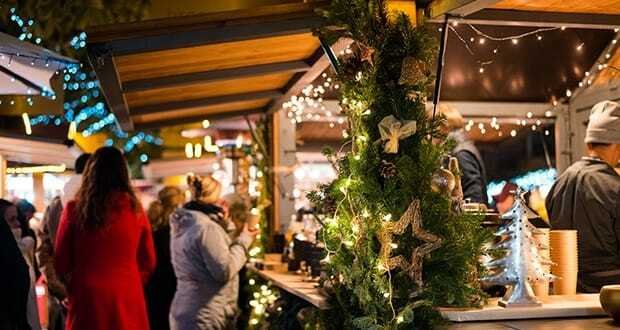 In addition to plenty of original gift ideas, you’ll find a nice gastronomic offer, including traditional Christmas specialities and international dishes, such as “Kartoffelsalat” or “Lebkuchen”. 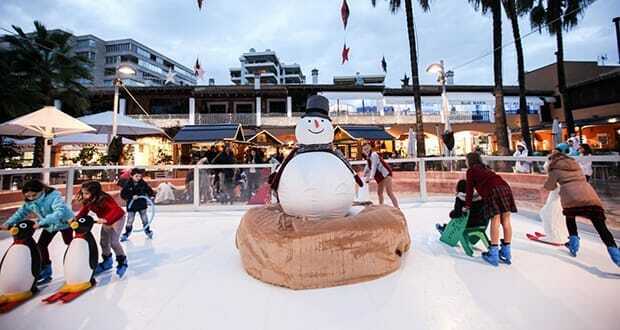 Enjoy shopping and eating in a warm atmosphere adorned with lights and Christmas trees, set to traditional music. Children’s activities are completely free for visitors and include storytelling, craft workshops and face painting. The seventh edition of the event in 2018/2019 features an skating rink as last year. 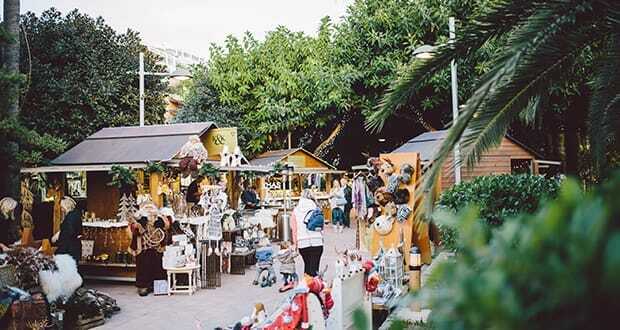 The Plaza Mayor market is filled with stalls selling Christmas decorations and gifts – including everything you need to create your own nativity scene. For inspiration visit the several impressive displays of ‘belenes’ (nativity scenes) around the city – such as the one in the foyer of the town hall in Plaça Cort. 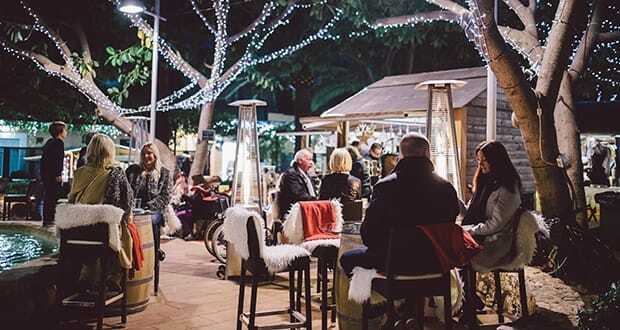 At Christmas, the streets and squares of Palma’s Spanish Village become a winter wonderland, with many gift stalls, warming food and drink stands and of course, special appearances from Santa Claus. Pueblo Español is situated in the Son Dureta area of the city, with free car parking. 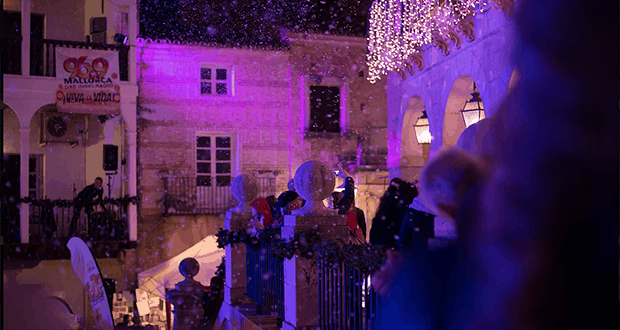 Discover Alaró during this two-day Christmas Market which takes place every year in December. 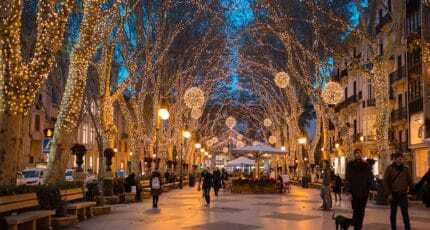 We hope you have found this article about the Christmas Markets in Mallorca useful and that you have many memorable stays in Mallorca as a result of our recommendations.